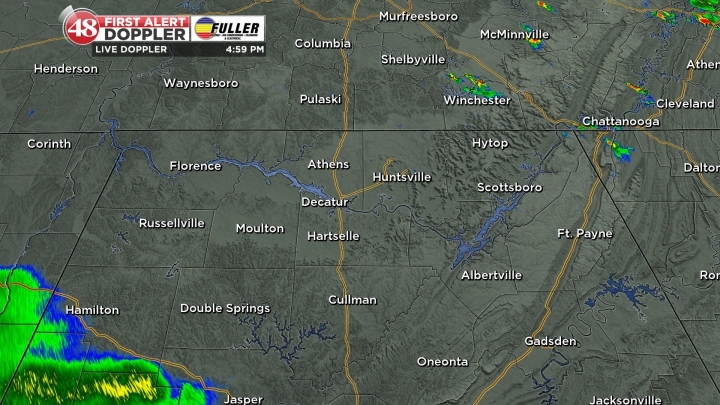 Increasing clouds tonight with rain possible after midnight. The most likely time for widespread rain will be between 3 and 8am. Some of the rain could be heavy at time. 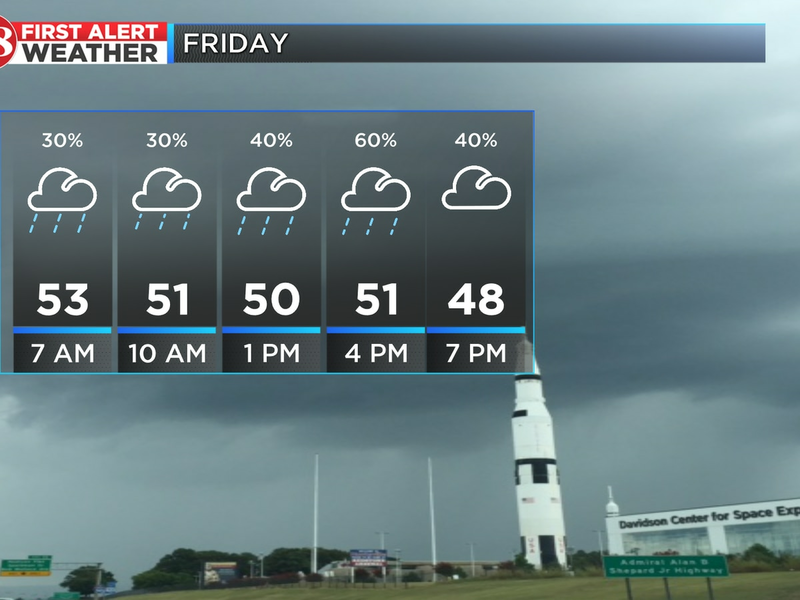 Saturday will begin with scattered showers through 10am. Some areas will see the rain end as early as 7am. A cold front will bring in another supply of cool air. It will be breezy Saturday afternoon with decreasing clouds and temperatures in the lower to middle 60s. Overnight into Sunday morning temperatures will fall into the 40s. Sunday will be much cooler with highs in the 50s. No rain is expected Sunday through Wednesday. And afternoon highs will average in the lower to middle 60s with morning lows in the 40s. Scattered frost is possible Monday morning. Our next chance of rain will come Thursday. 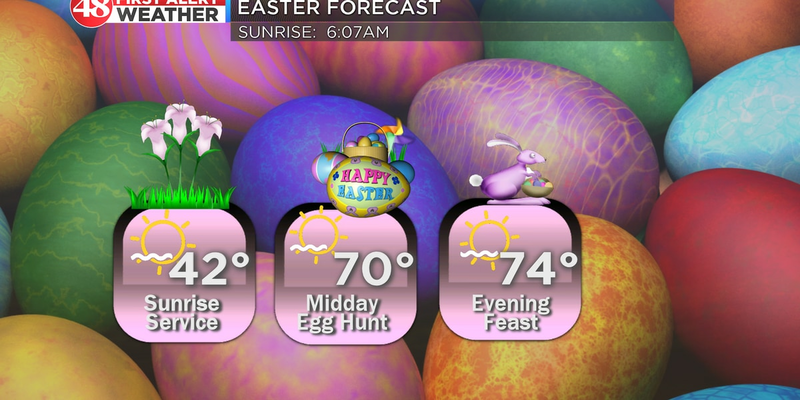 Despite the chilly start, Easter Sunday will be very pleasant with sunny skies and warm temperatures in the middle 70s. Happy Easter! Today will be pleasantly quiet with a nice warm up. The day gets started with dense fog across the area. A Dense Fog Advisory is in effect for the Sand Mountain area until 9 AM this morning. Sunrise will be at 6:07 AM. Temperatures will be very cool, in the upper 30s and lower 40s.